Nick Flatt is a realist painter originally from Dallas Texas. He trained at San Francisco’s Academy of Art. He is notable for his large-format photorealistic paintings and murals. 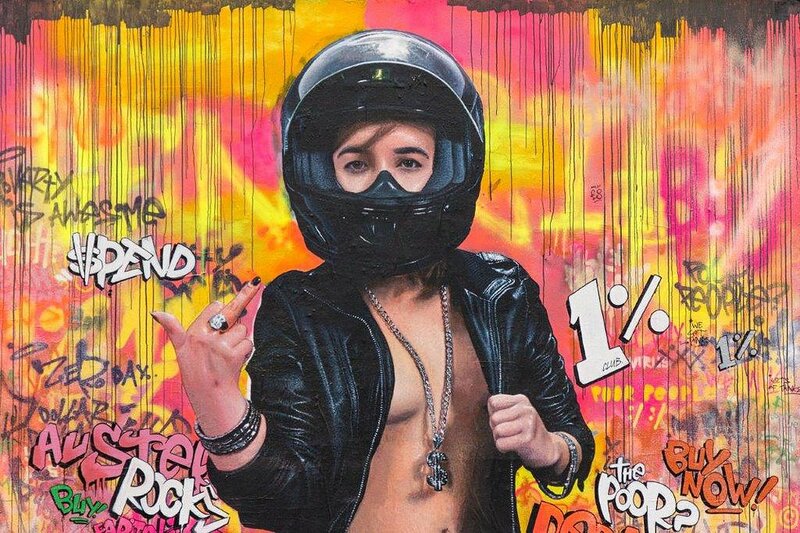 Paul Punk (aka Punkone) is a Berlin-based graffiti artist who started experimenting with the medium at age twelve. Nick and Paul met at an abandoned spy station in Berlin. Despite coming from two different countries separated by vast distances, they grew up with nearly identical cultural influences. The products of an ever-spreading, homogenized, cultural malaise. This dulling pop culture is referenced in their work. 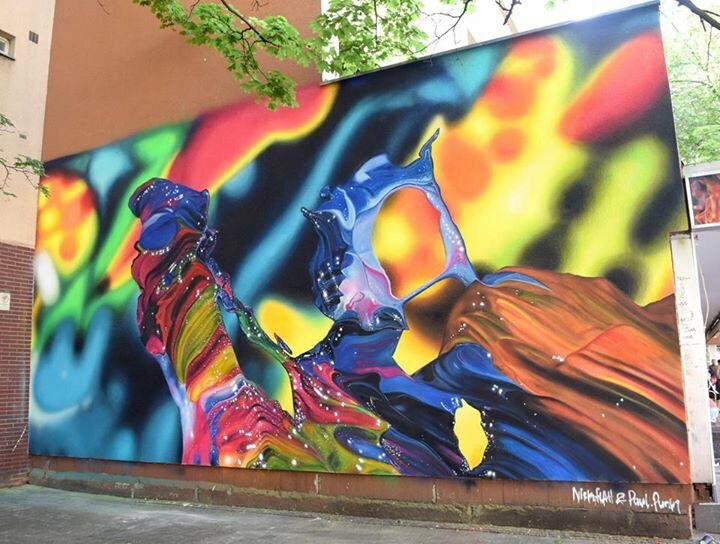 The duo blend together elements from comic books, graffiti, tabloid photos, and early gestural painting to create a unique form of urban abstraction. Heavily influenced by digital culture, Flatt & Punk pick various components from contemporary art movements, reduce them, then merge them back together to create a new visual language that looks like modern art thrown into a Photoshop blender.